Last year, I wrote a post that went viral which gave you step by step instructions on how to become a web developer from scratch and for free. A lot has changed since then, and since I’m a proponent of not wasting time, I wanted to share with you the updated article because there is a ton of changes for 2019! The focus is on efficiency: Learn the right topics that are in demand right now so you can get hired as soon as possible. These are the steps that you should be taking if you want to learn to code in 2019, change your career, and become a web developer. This is part 1 of a 2 part series. You can read the second part here. If you are a complete beginner, junior developer, or are curious about this industry, this post is for you. However, if you are an established developer, you may find some useful links in here as I list the best free resources to supercharge your skills, but I also wrote a post on how to become a senior software developer that may be more useful to you. If you find this post too long, you can skip over and start from the 5 Months, Step By Step Section. But you’ll hurt my feelings…so you know, you can live with that guilt. Using only free online courses, tutorials and free tools, you can gain a valuable skill that will allow you to be employed in a great industry that is rewarding, challenging, and with a lot of options to move around the world (more on this later). Best part? You don’t need a college degree or an expensive bootcamp. Important note: The post may seem like a step by step guide of what to do to become a developer, but if you look closely, it is a strategy that you can apply to any sort of learning. A. You want to be working in an industry where there is a high demand for the skill and many possibilities to be in highly important roles at the top of the food chain. B. You love being location independent. You want a skill that allows you to go anywhere in the world and still be able to find a job easily. If you decide to move to Iceland tomorrow, you want to make sure that you won’t have issues finding a job. C. You’ve noticed the difference between 2004 and 2019 and how much of a technological progress we have made in those short 15 years. You want to be at the forefront of an industry that is impacting the world. D. The biggest industry growth in the last couple of years has been in the cryptocurrency (Bitcoin), and artificial intelligence (Machine Learning) space. We interact with technology on the daily, and you want to not be left behind in the dust as these take over our future. You want to understand and be able to pick up the skills underling all of these: programming. Web Development is a great foot in the door to these industries. E. You think change is good, and learning should never stop. So why not do something new? 1. It must be relevant for the next 10+ years. This skill should be valued many years in the future guaranteeing you job security. 3. Ability to have a high salary regardless of years in the industry. You don’t want to spend many years climbing the corporate ladder until you make a decent living. 4. An industry that doesn’t require a specialized degree from a university. You don’t want to spend the next 4 years getting into debt and going to a graduate program before you start making money. And yes, I think there are better alternatives than going to an expensive coding bootcamp. 5. Ability to catch up to the top performers in the industry in the shortest amount of time. Can little experience still get you employed? And can you close the gap as fast as possible to be considered a senior or an expert in the field? 6. It must allow you to build foundational skills that will give you multiple career options no matter what the future holds. For example, by learning to code, you’re able to better understand new up-coming technologies like distributed applications, machine learning, and cloud computing, and chose which field you want to jump into next. 7. Have fun. The most important one. Can you see yourself doing this 40 hours a week for a long time? Coding hits every one of the points above in my experience. Your mileage may vary. One of my favourite books is titled So Good They Can’t Ignore You. In there, the author argues that passion is a myth. You shouldn’t go into the travel industry because you are “passionate” about travel. Most people find passion by struggling and working hard to master a skill. Once people start acknowledging your valuable skills, and you are able to feel respected for these skills, that’s when you develop passion for what you do. Still with me? I haven’t scared you off? Ok, we shall keep going then…. IMPORTANT POINT READ IT: keep in mind that the first 2 months will feel like you are climbing an insurmountable mountain. Every tutorial, course or lesson you do will make you feel like you are the only person in the world that doesn’t know this stuff. Stay strong. You will get there and you will have more and more ‘AHA!’ moments as time progresses. We call this the Impostor’s Syndrome: you feel like you are the only one who doesn’t know this information and you are surrounded by self-doubt. Rest assured we all feel this way when we learn something new. What you will learn at the end of it all is that being a good developer isn’t necessarily memorizing a whole bunch of documentation. It’s about learning how to solve problems using all of the tools that are available to you. It’s about being a problem solver and getting from a state of not knowing to knowing. Wow, you’re direct, but I guess that’s a fair question. First off, I’m a senior software developer that has worked in various locations including Silicon Valley at some of the top tech firms. I’ve been very fortunate in my career and I actually took all of last year off to help 60,000+ people around the world become developers from scratch. But I wasn’t born a computer wiz. I didn’t graduate with a computer science degree. I am completely self taught. P.S. This part is all about me, so if you don’t care (totally fair point), just skip this section. I’ll get over it eventually. It all started many years ago…I wanted a career change and decided to teach myself computer programming. I spent the first month avoiding any tutorials or books. Instead, I spent this month looking at the best way for me to learn and get hired. I wanted to be efficient, not waste my time and learn outdated technologies, or learn things that I would forget after a month. I studied other people’s experiences, looked at job postings, spoke to established developers, reviewed online courses, looked at bootcamps, and even read articles by futurists on where we will be with technology in 20 years. Based on those, I created a curriculum for myself focused on efficiency: The critical amount of learning in order to be employable in the shortest amount of time. If you love the works of Tim Ferriss as much as I do, you’re going to love this. The curriculum isn’t focused on doing the least amount of work. Instead, it is focused on working really hard at the things that matter most in order to be employed in the optimum way. This doesn’t mean doing the bare minimum and being hired as a junior developer. If you can work hard and skip the line by jumping straight into an intermediate developer role, that is a better outcome. Luckily for you, I have already sifted through everything. Although I spent one month planning my studying instead of actually studying, it was a benefit in the long run because I wasn’t running blind. I knew where I was going, and I had a map to the finish line. You will too. So yes, I’ve been where you are and I know what it takes. When I was getting started, I wish there was something like this that outlined things for me step by step. I also found many tutorials were taught by people with a lot of technical knowledge but without being able to properly teach a novice. I’ve read and studied every single video, tutorial and course that time permitted, and I still do. Since then, I have consulted for Fortune 500 tech companies, ran coding workshops, consulted on published tech books, given technical talks, and I have helped those with zero experience in programming get jobs in just a few months. Mainly because I think bootcamps overcharge you money. And don’t worry, you can do it for free as you will see below. I am now in a position where I don’t have to work for anybody. I love this career and I think many people would enjoy it and benefit from it as well. So I’m on a mission to help others who want to make this jump. What language are we going to learn? Yep, this one up here. Trust me, it is a great community with a lot of demand. If you don’t trust me, here is a trending developer skills analysis. Enough jabber, let’s get started. Below you will find what I believe are the best for you to get the most out of your time. By the end of 5 months, you should be able to land your first real non-entry level programming job. No bootcamps. Just you and your determination. We will be focusing on the most employable and in demand skills in 2019. No time for outdated technologies like PHP or jQuery. There is nothing wrong with them, and I have total respect, but based on some of the emails I have received over the years from you, a lot of people are in financial need and have families that they have to support. Time is important to you and you want to be employable as soon as possible and learn the modern skills. Big question to answer: How do computers, the internet, and websites work? How can I build a website? Understand the Feynman Technique so you really learn over the course of the next 5 months instead of just using your short term memory. How Does the internet work: this from LearnCode.academy and this from thenewboston. Follow this Harvard course on youtube. This is just pure gold from probably the best computer science instructor. No need to do the exercises. How to use the command Line: this by Zed Shaw. How to build a website/get a domain/and have it up and running: LearnCode.academy video. How does HTML, CSS fit together: Watch this great playlist. Learn how to use Flexbox and CSS Grid for website layouts. Then do this and this exercise. Build your own website layout from scratch. Understand how to use templates to build websites using free themes and templates. If you have time, you can do a few of the courses on the HTML and CSS sections at freeCodeCamp. Read this great article about programming. Use this guide from freeCodeCamp for short lookups if you have questions throughout the 5 months. 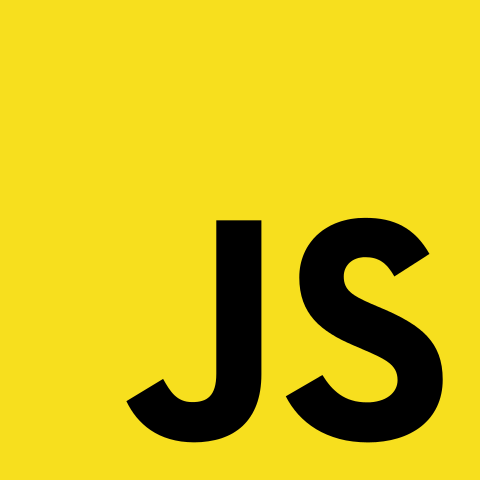 Learn the new ES6, ES7, ES8 and ES9 features with this tutorial. If you don’t get everything in here, don’t worry, we will go over another resource next month on the topic of “Asynchronous”. Learn Git and Github with this 40minute tutorial (yes, that’s me). Create a Github profile and start making commits every day. Start developing a sample website. Use Github pages to put your websites online. Terminology/Jargon: this video and this. Finally, watch this great playlist on youtube. Ignore the sections on jQuery and Grunt. Start using this guide whenever you have questions and you want to dig deeper into a topic. Big question to answer: Can I build a professional looking website and understand the entire process? Google Developer Tools → learn how to debug your programs and websites using google Chrome. Finish this short little course. Learn about Promises, and Async Await in ES7 here. download node.js and npm. Download lodash from npm and use browserify to use Common Js imports. Learn about it here. Understand why npm is such an amazing tool for developers. Now learn about why we no longer use Browserify, and learn about native imports and exports. Big question to answer: What problem does React or Vue solve? I’m heavily biased. I love React.js. As a matter of fact, I teach it to others and run workshops on it. So just trust me on this one. Learn React unless you have a good reason to learn Vue.js. Vue is new and exciting, but the job demand on average just isn’t as high yet. React → Do these in order: one, two, three. Then head on over to the official documentation and read through everything. Optional: Learn Redux → Watch this course. Don’t let your head explode. Then read the documentation for it as well. Build a sample React application using create-react-app 2. Create-react-app will blow you away. It will open up a new world for you. Deploy your app on Heroku. Deploy your app on GitHub pages. Start building your online resume. There are people that give better advice than me on this. Check this and this out. Or you can go all out and check out this, but this post is already getting too long and you’re starting to give me evil eyes. Big question to answer: Where do servers, databases, and raspberryPis fit into all of this? HTTP, JSON and AJAX. Learn how these allow you to communicate with servers. Learn how to build an API server. Then go a step further and master Node.js and Express.js here. Learn what a RESTful API is. Once you are done with this, use a fun API like this one and build a simple app. Subscribe to the computerphile youtube channel and watch their videos as they come. Even though topics may be difficult, it will introduce you to some amazing things. What is a Computer/Server/OS: buy a raspberryPi and build your own server. Look up different projects on youtube you can do with your raspberryPi. Finally, build a simple script that makes lights attached to your raspberryPi blink. Follow this course. Host your website on the raspberry pie. Be amazed at how cool you are. Build a small project using firebase as the database. 1. Learn HTML and CSS. Then, buy a domain, buy hosting from a place like BlueHost or HostGator, get the cheapest option, make a website, and put it online. You can skip this option if you would like to use Github Pages which is free. But if you can afford it, actually buy one of the above hosting platforms so you understand how they work. This is going to be your portfolio from now on. Learn how to update it and make edits. As you learn new things, continue to make it nicer and nicer. Don’t spend too much time on this. Just enough to show that you’re able to put something online and make it look nice. Focus on having 1~2 really good and big projects in your portfolio instead of 30 small ones that anyone can build in a day (since employers won’t find this impressive). 3. Start pushing your little projects to GitHub. Employers will look at your GitHub profile and how active you are on there. Try to make commits 5 times a week on your personal projects. Also try reading through this and contributing to some open source projects like freeCodeCamp or zerotomastery. 9. Start applying to recruitment agencies early. We are going to use them as practice. Most of these have practice interviews with professional coders so they can rank your skill, but you can use these to practice programming question, and ask these experts any questions you want! 10. Start applying for jobs for which you are way under-qualified for. You will get some interviews. You should never settle for a job. If you never ask, the answer is always no. See part 2 for more detail on this. 11. Make your LinkedIn profile look nice. Don’t spent too much time on your resume. Make it one page, make it concise, and write down all the skills you’ve learned in the previous months. Use a prebuilt template like this. Being self taught shows a lot of courage. Remember that your resume is just to get you an interview, after which, they are as good as paper towels…ok bad analogy because paper towels are very useful. I spent less than 2 hours on my resume. What makes you different than other developers is the fact that you come from a different field and background. How is this going to differentiate you? 12. Interview and be amazed at how employable you are. Not all of them will go well, but then again, not many developers learned everything in the last 5 months. It shows ambition. ONLY apply to jobs on LinkedIn, and the rest should just be you emailing directly, referrals, or calling the company you want to work for. Don’t waste your time on mass Craigslist, Kijiji, or Monster.com, or other job board ads. You can also use services like Indeed prime or hired if you want. Most people have an idea that you need to get something 100% before they can move on to the next step. However, for most skills, including programming, the closer you get to 100%, the longer it takes to get there. You only have 5 months. The last 20% will be better served actually working in teams, on real projects (and getting paid). So we are only focusing on getting 80% of the knowledge to use our time efficiently. Technology is always changing. This is especially true with web development. Things are moving so fast right now that it is impossible to know every single library, syntax, or framework. What you do need to know is how everything fits together and what each technology is trying to solve. Most importantly, you just need to know it exists so you can look into it and figure it out when the time comes on the job. Programmers are problem solvers. Learn to solve problems with the tools available to you. Most of us spend a lot of time on pages like StackOverflow or researching google because there are so many resources out there. Once you build the foundation of your knowledge, you can go anywhere. You just need to know how to look for answers and ask questions. Focus on efficiency. The reason most of us give up on a goal is because we don’t see results. By focusing on the things that matter, it makes learning fun. But it doesn’t end here. Learning never stops, and your goal was to get employed as soon as possible so that from that point on, everyday you are receiving a salary to learn. 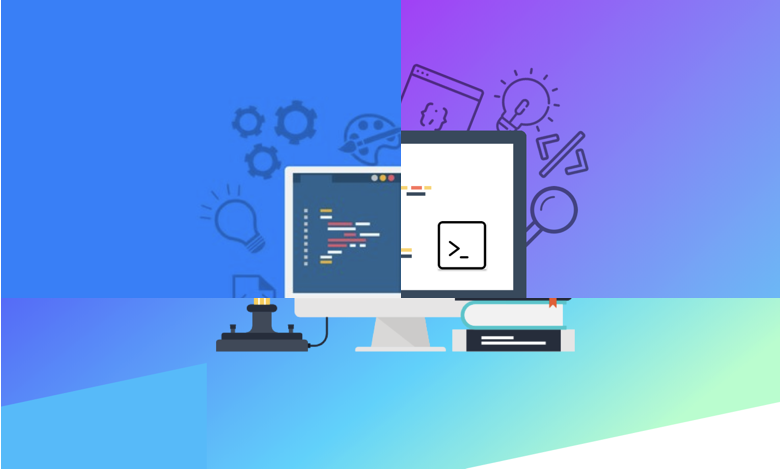 Coding gets more and more fun with each passing day and it’s even better when you are getting paid every day to solve problems and develop your skills. The real growth happens when you start working on real projects with real teams. That’s why I strongly believe that you want your ‘study’ period to be as short as possible, in order to avoid debt, and increase your time in the best environment for learning: working in teams. I wouldn’t even recommend freelancing to start off. You want to surround yourself in an environment where everybody is smarter than you and you are working everyday with them. From there, be a sponge and absorb all of the information. We’re building that trunk. When that trunk gets big and strong, and the roots are all put into place, your rate of learning new things will be exponential.You’ll form leaves of knowledge faster and faster with each passing day. Make 2019 the year that you took a risk, you learned a highly in demand skill, you were terrified, you had new experiences, and you received new opportunities. Good luck! I created an online course: The Complete Web Developer in 2019 where I walk you through the entire steps I mentioned above if you want everything in one place, extra help, or you want to support my work. We also have a private community of thousands of developers going through the course and helping each other out every day. It’s over 200 HD videos and 30+ hours of content. It took an insane # of hours to make. But I’m really proud of how everything turned out. It is discounted for the holiday season to $10 to start off the year (for first 100 signups) and I strongly believe it is better than any bootcamp material out there. Update: We’ve passed 60,000 students from over 191 countries who have enrolled! Thank you for reading this far. Sorry for the long post, but if you enjoyed this post, please share, comment, and press that 👏 a few times (up to 50!). . .Maybe it will inspire someone to make the jump into a new career.